I can’t even begin to describe how impressed I am with Dave’s! I have had a slew of car problems for essentially all of 2015 and I was taking my car to different places every time, and each time I left feeling worse when I was already in a bad situation! I needed exhaust work done and was referred to Dave’s and I couldn’t believe how great the estimate was! Considering my bad luck with vehicles though the next day my car decided not to start. I had to get a tow with them and a new starter but even with all of this including the exhaust work I barely spent what I anticipated! They treated me with the utmost kindness and where always pleasant! I cannot give this place and the people who work there enough praise! So happy I ended up at Dave’s! Auto problems are a real inconvenience; not to mention a stress on your wallet & time. At Dave’s, we do everything we can to make your auto repair service easy and affordable. We offer towing & roadside assistance in Kenosha for when you breakdown on the side of the road, blow a tire, or run out of gas. 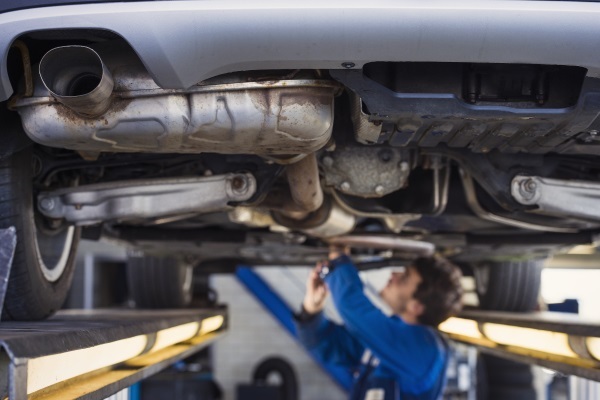 We’re experts in auto repair of all types too; including exhausts, mufflers, engines, suspensions, brakes, & much more. Contact us to get an estimate on auto repair services.